Such an inspirational room! This gorgeous room designed by The Studio at One King's Lane has to multitask as a playroom and a guest bedroom so each furniture has to have dual function. 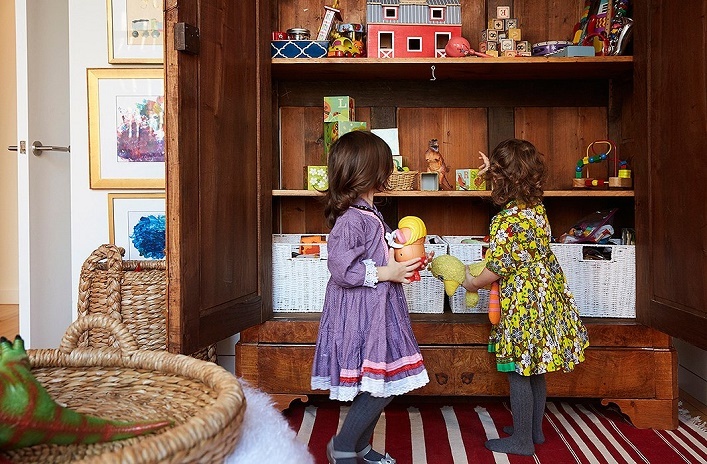 I like how designer, Sally Gotfredson cleverly picked a chic white sofa bed to anchor the room and a beautiful vintage armoire to store children's toys. 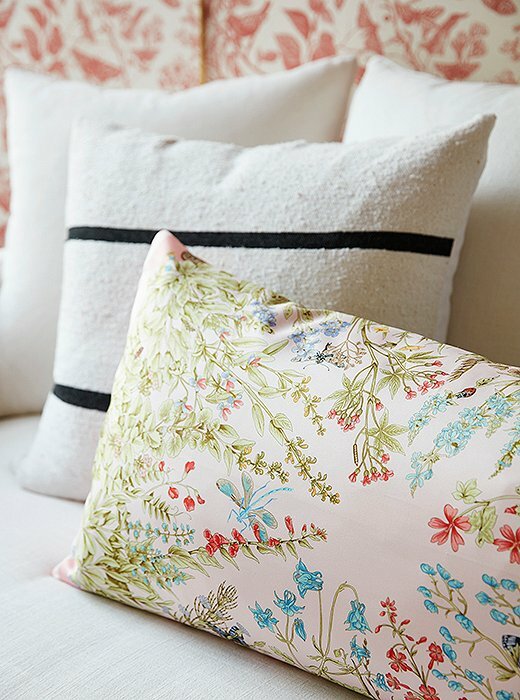 The lovely red and white fauna wallpaper is charming and whimsical, the perfect backdrop for the white sofa bed. 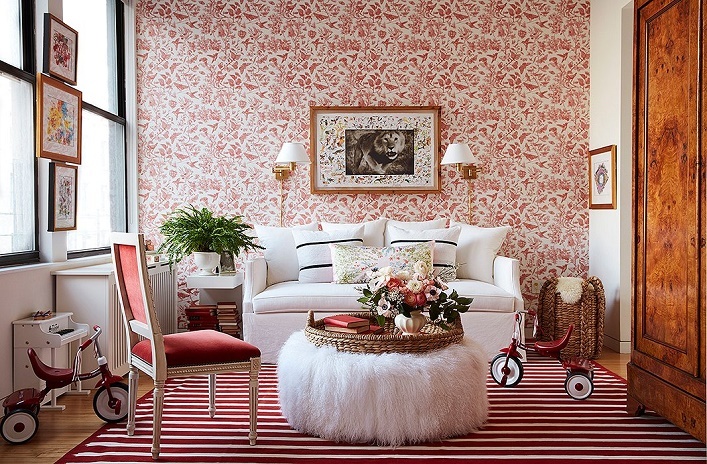 The striped red and white cotton dhurrie adds another layer of visual interest to the room and helps the space feels grounded. A pair of brass sconces above the sofa bed is a wonderful lighting source for late night reading and helps free up the surface space. 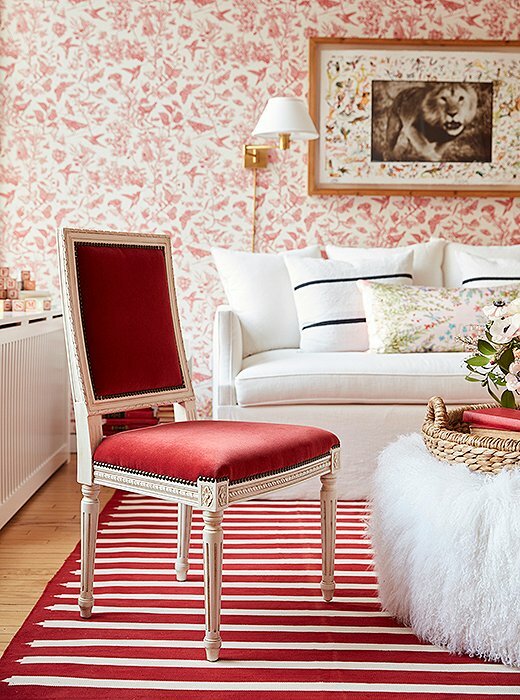 The addition of a sumptuous velvet Louis XVI-style chair and a fuzzy lambswool ottoman are the perfect luxury and glamorous touches in the room. The teepee, on the other hand provides a fun and cozy hangout for the children. 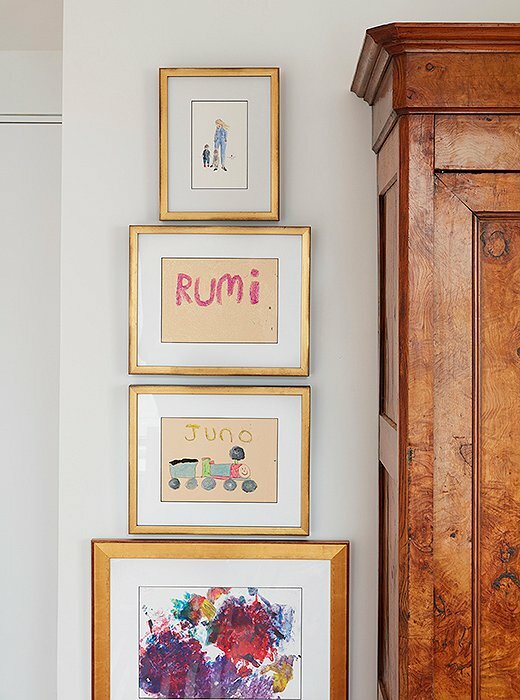 Such a thoughtfully designed, kid-friendly and elegant space, what's not to love? Are you drawn to this fabulous room as much as I do?